Please chech back for MyHTN feed. Find Home Theater Network (HTN) Installers who can setup and install home automation, home theater, and home network devices. Just launched! First HTN Installer list coming real soon. 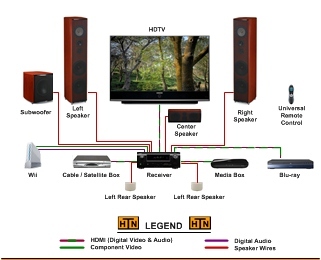 mrHTN on "Confused on setup"
Paul on "Confused on setup"
Welcome to the Home Theater Network (HTN) community! At MyHTN, you can get connected to HTN Installers and get your home automation, home theater, and home network questions answered. A growing list of HTN Installers can also help with your HTN installation and service requests. Please Login or Register to ask questions through our MyHTN Forum. HTN Installers, please register here to get listed on our Installer list. 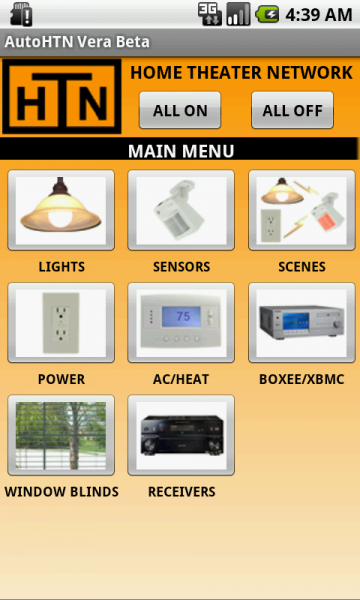 Nembus Home Automation creates home automation apps for Android smartphones, iPhones, iPads, tablets, media boxes, blu-ray players and smart TVs. All our apps are designed for easy setup and use. There is a huge amount of interest in home automation products, but people are scared away by the complexity of the equipment and expensive costs. Nembus significantly reduces complexity and costs by using app-capable devices customers already own such as smart TVs, blu-ray players, and media boxes. All our apps are simple to install, simple to setup, and simple to use. We have a prototype app called AutoHTN available in the Android marketplace. It works with a Vera home automation controller and is used to control lights, sensors, thermostats, cameras, window blinds, receivers, media boxes and more. AutoHTN demonstrates our approach to simplifying home automation. Our home automation apps for smart TVs, blu-ray players, and media boxes will be available by the end of the year. More information is available on our website at www.nemb.us. Welcome to the new My Home Theater Network (HTN) community at myhtn.com. We have revamped the older yourhtn.com site to focus on connecting our visitors to HTN installers, and to help our visitors with any HTN questions. If you have any home automation, home theater, or home network installation needs, then our new HTN Installers list is a great place to find professional installers. Also, our HTN Forum can help answer any home automation, home theater, or home network questions you may have. New social features make sharing posts easier. Additionally, a new cleaner look makes it easier to find a solution to your HTN questions or service needs. Aereo is launching in early March with a solution to the “cable company” problem. Customers are understandably frustrated with the high prices and the poor customer service cable companies provide. Paying for over 1000 channels when customers only want to watch a few shows gives an opportunity for a startup like Aereo to convert cable subscribers to cloud subscribers. Aereo has an interesting approach to the legal mess that has kept cable companies in control of what people watch. Broadcast TV stations such as ABC, NBC, and FOX provide free Over-The-Air (OTA) HD quality TV signals that anyone within range can pickup with an antenna. Yes, … an antenna similar to the old bunny ears used on older TVs. 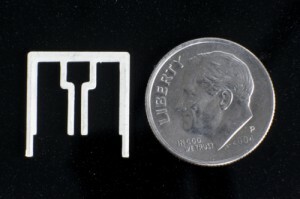 However, Aereo has new modern day antennas which are the size of a dime. They built a huge array of these miniature antennas and assign one to each of their customers. Each Aereo customer can then stream the OTA TV shows captured by Aereo through the cloud and to their iPads, tablets or phones. Customers get 40 hours of storage in a virtual DVR for $12/month. Services will only be available in NYC to start, but their plans are to expand. Hulu Plus with seasons worth of TV shows which include broadcast networks and some cable networks seem like a better value at $7.99/month. Aereo lacks content from cable channels like ESPN, Nickelodeon, or Comedy Central. Installing a TV card for $40 in a computer and then using free software to stream does require some technical skill, but it might be worth it to save $12/month. Time Warner, U-verse, Cablevision and others already offer streaming video services to tablets and phones. App capable TVs with built-in OTA antennas will be available to offer the same service for free through apps. Did I mention the legal challenges? Any disruption to the cable provider market is welcome and it will be interesting to watch Aereo try to overcome these challenges. I just bought my first HDTV (I know!) and am in the market for a Blu Ray player. The problem is that my receiver, which does support 5.1, doesn’t have an HDMI connector. It does have Optical. So how do I connect my system? Before buying the BluRay do I need to make sure it has any specific connectors? i’m having trouble installing my front projector and am looking for some assistance. i have an onkyo receiver tx-nr609, the projectoris a viewsonic pjd5111. the projector doesn’t have hdmi, so i bought a converter from at-hdview. it is a vga to hdmi. i currently have a 60″ lg tv connected to the receiver, which works well, i would have thought going out the onkyo via hdmi through the converterbox into the projector’s vga would work, but i still get no signal. i can get a signal through the s-video cable of the projector and my satillite box. Any suggestions? have overpaid and spent billions on InterDigital’s patents. have been one court case away from HTC legally being blocked from selling Android phones in America. 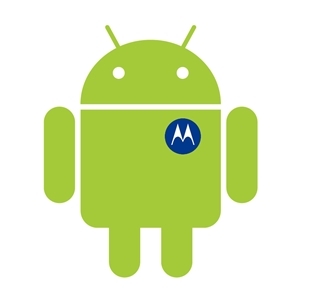 risk Microsoft or Apple buying Motorola and losing a major Android manufacture. continue to have Android embattled in lawsuits from Apple, Microsoft, Oracle, and others without a solid patent portfolio. So what is next for Google and Motorola? The assumption is HTC, Samsung, LG, Sony, and other manufactures will be forced to focus on other mobile operating systems. However, there isn’t a mobile operating system available today with an established app market other than Android and Apple’s iOS. Sales for Samsung and HTC’s Windows Mobile based phones has been lackluster partially due to the lack of apps. Developers already have to create an Apple and Android version of their app. They will have to be significantly motivated in order for them to create a third and fourth version of the same app. Google will keep Motorola as a separate division. HTC, Samsung, Sony, and other manufacturers will continue to focus on Android based phones for the next year. Manufacturers will try to diversify to Windows Mobile and possibly webOS, but the lack of apps will hamper sales. Nokia based Window phones will also have lackluster sales. Motorola Blur will go away. Manufactures will put more focus on differentiating themselves by modifying their Android skin such as HTC Sense or Samsung’s TouchWiz. The ultimate connection diagram still shows how to connect all the above systems into one, but the smaller ones are designed to be easier to read. The smaller connection diagrams also show typical connections for popular home theater network components. Feel free to ask any questions in our HTN Connections and Setup Forum.